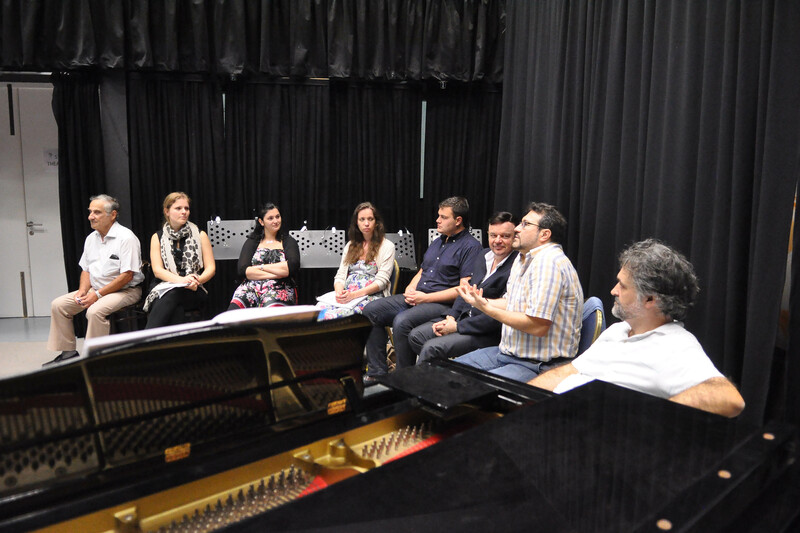 On Monday 13 October Teatru Astra piloted an initiative aimed at reaching out to students and the general public ahead of its forthcoming production of Verdi’s Nabucco. 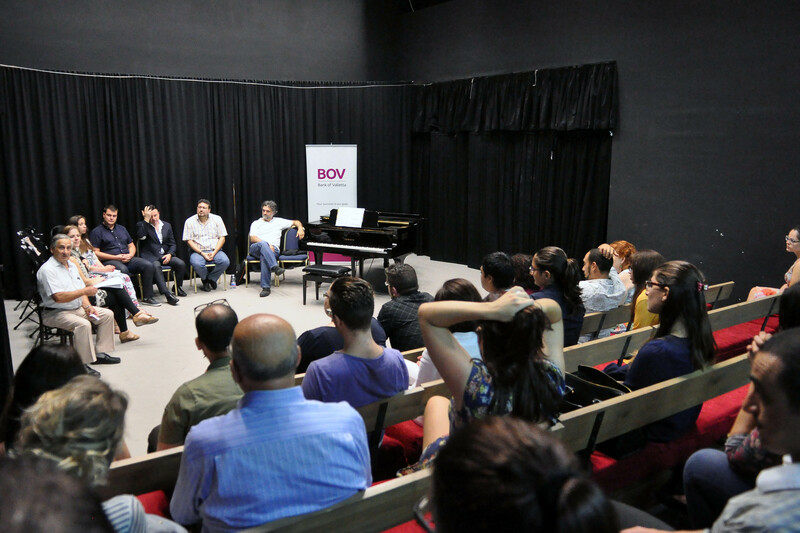 In collaboration with Teatru Manoel and Malta’s leading financial institution, the Bank of Valletta, ‘Behind the Opera Curtain’ was held at the Manoel’s Studio Theatre. The event was offered free of charge to the public. Conductor Joseph Vella, Teatru Astra’s musical director who will also be directing the Malta Philharmonic Orchestra in the forthcoming two performances of Verdi’s Nabucco at Teatru Astra, led the proceedings by speaking about the musical importance of Verdi’s opera, which, as Vella stressed, put Verdi on the world map as a composer of note. Without being too technical he peppered his exposition with enough detail to enthuse a delighted audience. Vella highlighted the major arias and ensembles, speaking about Verdi’s mastery for melody and contrapuntal structures. Stage director Enrico Stinchelli dwelt on aspects of production and technicalities that go with mounting such a massive project. He stressed the importance of adhering to the libretto, making special mention on achieving an equilibrium between tradition and innovation – something that is so difficult to accomplish but one that makes or breaks a production. The audience were immensely privileged to be regaled by live musical interludes from the main soloists. Maltese tenor Cliff Zammit Stevens, who will be making his Malta debut in an operatic lead role, teamed up with mezzo soprano Olga Slepnyova. They sang a duet in their respective roles of Ismaele and Fenena. Bass Carlo Colombara, of Metropolitan Opera fame, interpreted the wonderful Preghiera of Zaccaria while Piero Terranova, who will be singing the main role of Nabucco, sang one of the leading arias. It was just an exquisite taste of finer things to come. The audience asked questions eagerly and the panel were most generous with their comments and explanations. This was certainly an initiative that hit the ground running and Teatru Astra looks forward to such further collaborations in the future. Teatru Astra is supported by a Cultural Partnership Agreement with the Government of Malta, Bank of Valletta, Citadel Insurance, General Softdrinks and the Victoria Local Council. Teatru Manoel will also be hosting its annual opera production in March 2015 which will be Gaetano Donizetti’s ‘L’Elisir d’Amore’ and will also feature Cliff Zammit Stevens in the role of Nemorino. For more information and to book go to www.teatrumanoel.com.mt.